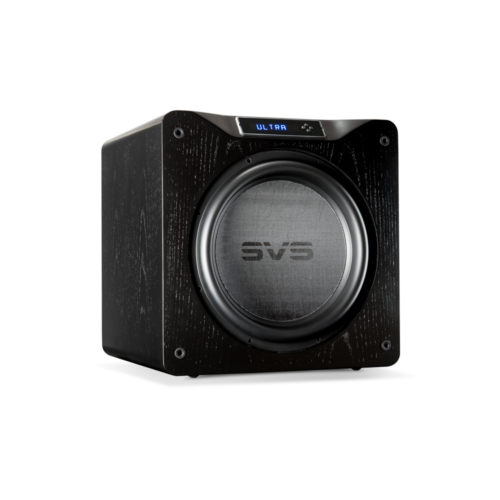 The SB-4000 subwoofer delivers massive SPLs and extreme low frequency extension typically reserved for the largest powered subwoofers. 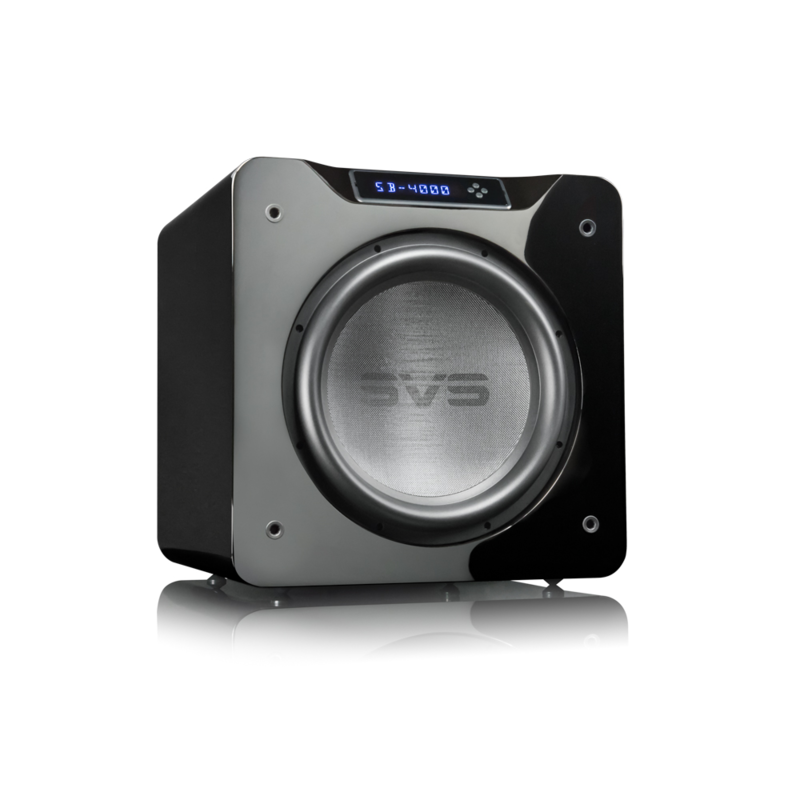 A high-excursion 13.5-inch driver unleashes immense sonic energy while maintaining pinpoint control and accuracy from a 1,200 watts RMS, 4,000+ watts peak power amplifier featuring fully discrete MOSFET output and Analogue Devices most advanced audio DSP. 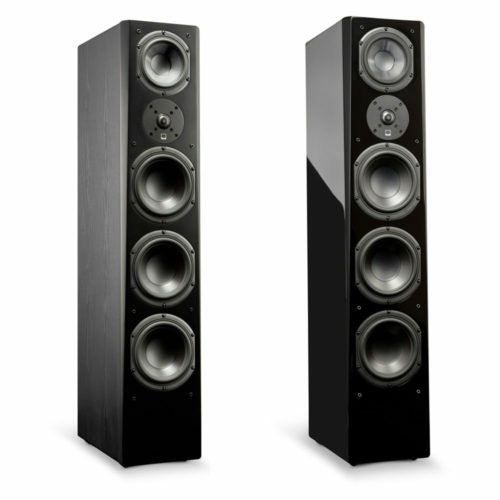 Precise tuning for the SB-4000 is enabled from a subwoofer DSP smartphone app with custom presets. 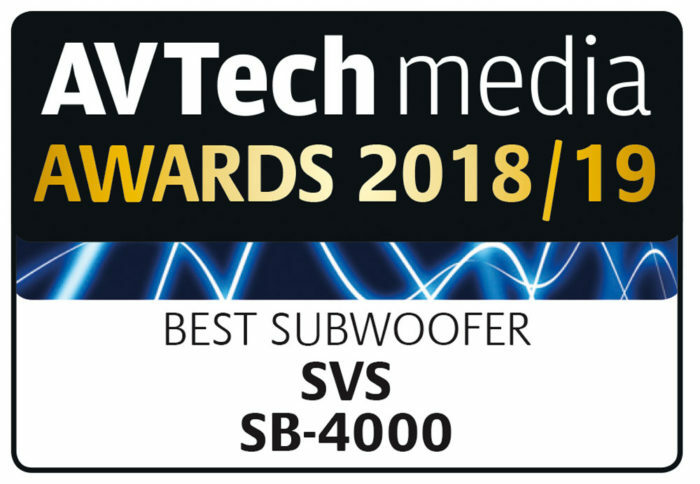 April 2018 issue of Home Cinema Choice gets to grips with the new SVS SB-4000 active sub, which blends the superior DSP and control of the Ultra 16 range with driver tech and amplificationupgraded from the SB13 Ultra. 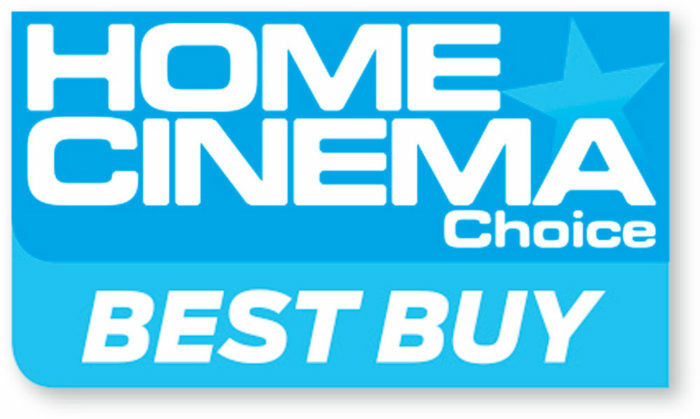 And because the retail price sits between the two, the verdict is a Best Buy. 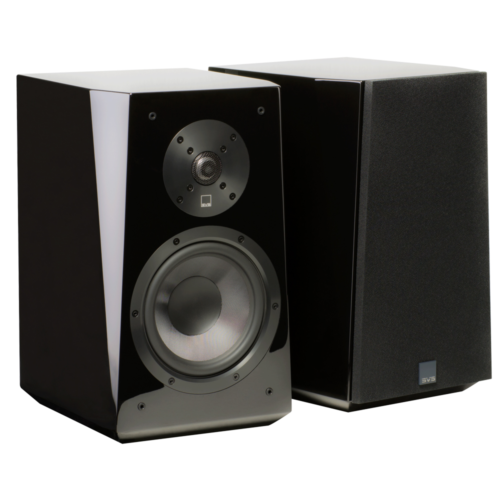 Reviewer Ed Selley says "What the SB-4000 delivers is almost the textbook definition of great home cinema bass; deep, clean and fast, and easily integrated with your chosen speaker system."